In this case it’s steam going up the chimney. And that’s the same as money going up the chimney. It’s the hidden cost of not having your boiler inspected during an annual clean and check. 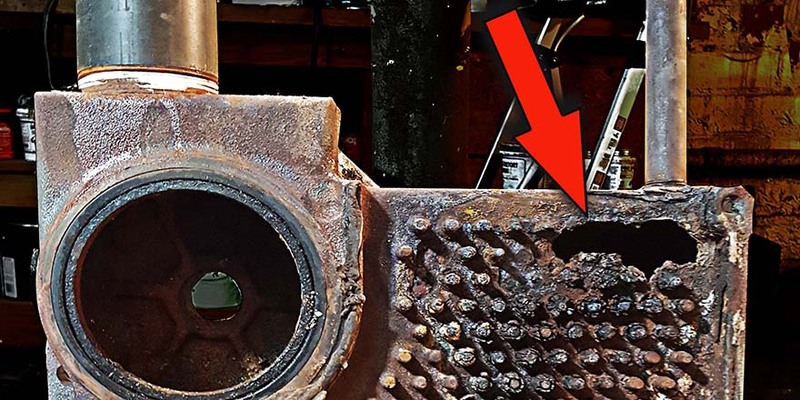 In this case, as evidenced by the photo above, a crack in the cast iron heat exchanger was neglected for an extended period of time. Eventually, the small crack developed into a larger hole. This situation became problematic on multiple fronts. With the boiler being compromised in terms of the amount of heat it could produce and the owner continually raised the temperature set point on the thermostat. The house still felt cold. That’s because a significant amount of steam was escaping through this now rather large hole and going up the chimney. A lot of money was being spent on the monthly gas bill to generate steam that went up through the chimney instead of throughout the radiators in the house. This also put added stress on a old steam boiler to produce more heat than it was capable of achieving. It’s like asking an old car to do 80 mph on an expressway. At some point it’s going to break down. And boilers don’t break down in July or August. Boilers break down when you need them the most in Northeast Ohio; December, January and February. Additionally, if left unchecked, there will invariably be damage to the chimney itself. Rebuilding a chimney can cost upwards of five figures. The lesson to be learned is to have your equipment checked on an annual basis to make sure it won’t let you down at a critical time of the year. No matter where you live in Northeast Ohio; Cleveland Heights, Shaker Heights, University Heights, Lyndhurst, Pepper Pike or Beachwood, when your heating system goes down, everything in your world stops, everything gets put on hold. The last thing you need is to have your house freeze up during the next Polar Vortex. 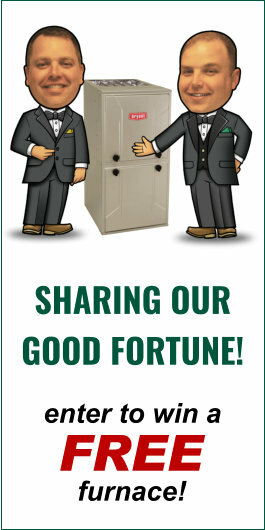 To schedule an annual heating check-up, call Verne & Ellsworth Hann at 216-932-9755. And have this same phone number handy if an emergency arises. Verne & Ellsworth Hann is the foremost steam and hot water boiler installer in Northeast Ohio. Don’t let your dollars go up the chimney. Keep them in your wallet where they belong.